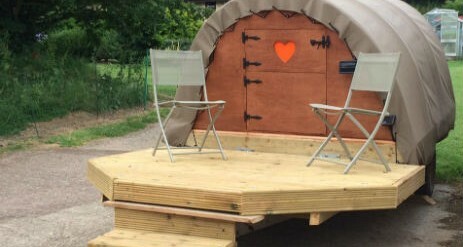 Somerleaze Glamping in Somerset is located on the edge of the Blackdown Hills just 4 miles from both Devon and Dorset and in the heart of the West Country. 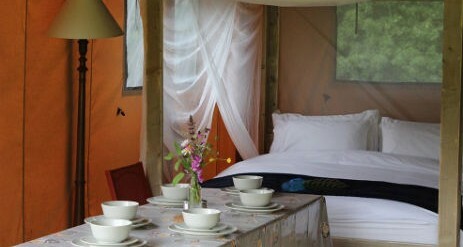 Our two beautifully appointed safari tents are fully equipped and stylishly furnished. 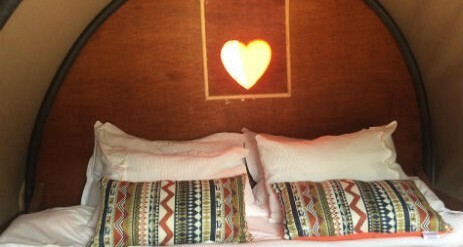 Foxglove sleep up to 6 people while Dragonfly up to 8 people. Set in your own fields you will be surrounded by mature trees and hedgerows. 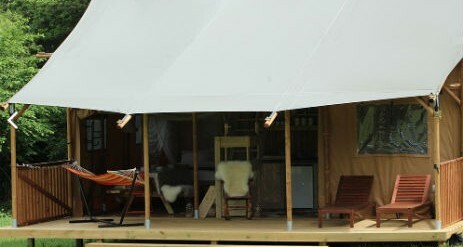 Both our tents have mains electricity and mains water. 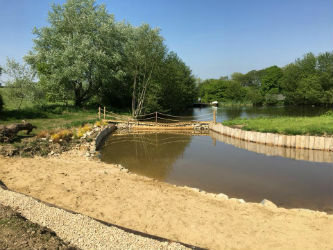 Enjoy our lake with it’s own island, which is accessible across the bridge or you could row across in the boat! It’s also perfect for reading, relaxing or just simply watching the local wildlife. The fields are natural wild flower meadows and there is plenty of wildlife for those interested. We have bats, badgers, foxes and deer to name a few. 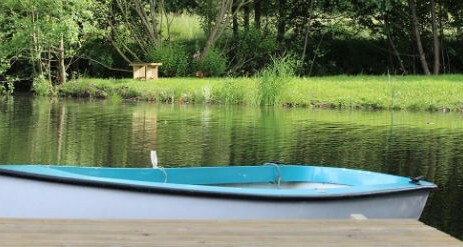 Our glamping meadow is a very beautiful area shut off from the outside ideal for families who want to connect in a natural (and non tech) environment. 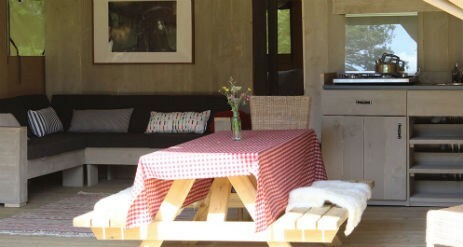 It is also perfect for couples who want a peaceful and romantic break and great for groups who want to unwind together. 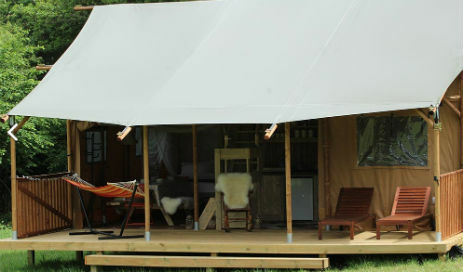 Mayfly is a mobile glamping unit which is (home) built on a trailer chassis so can be moved anywhere… It can be set up as additional accommodation for either Dragonfly or Foxglove or it can be used separately in a quiet corner of one or our fields to enjoy the beautiful views.